U boat periscopes, Glen Miller and Neville Chamberlain - a Child's War is launched in Year 6! 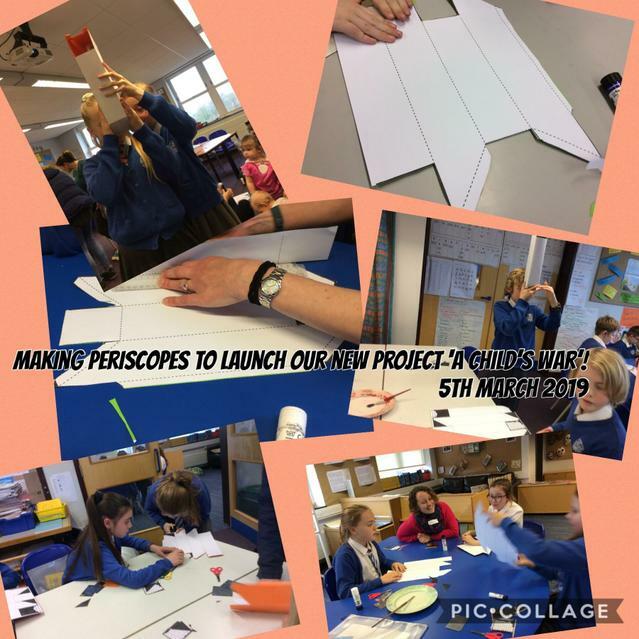 We launched our new project in Year 6 called `A Child's War`, with family and friends joining us to create periscopes, whilst listening to Glen Miller's Orchestra to help us get into the mood of the 1930s and 1940s. Hearing Neville Chamberlain's original broadcast announcing that England was at war with Germany, added to our understanding of the seriousness of this news.